One of Europe’s leading airlines, British low-cost airline company easyJet, has announced a new route from London Gatwick to Rovaniemi, Finland. Starting from 31st October 2018, Rovaniemi will be served by easyJet twice weekly on Wednesday and Sunday. The new service is expected to carry more than 13,000 customers in the first winter of operation. Rovaniemi, the Official Hometown of Santa Claus®, welcomes the route with open arms. The dominance of British travellers has been tangible especially during the past two winter seasons. In Rovaniemi, the number of British travellers grew nearly 40 percent from 2016 to 2017. “British travellers are our traditional market. We’re happy for the new connection that serves the visitors to meet Santa Claus and to experience the magic of Christmas any day at the Arctic Circle”, says Sanna Kärkkäinen, the CEO of Visit Rovaniemi. “The magical Northern Lights can be seen from August to April and there are many tours available. In winter season many travelers go on husky sleigh rides, reindeer farm visits, snowmobile safaris and skiing”, Kärkkäinen adds. Lapland’s attractiveness as a destination is growing, and easyJet’s contribution to flight game promotes Rovaniemi’s role as a gateway to Lapland. The route serves at once many neighbouring travel resorts within short driving distance. To further support the destination’s growth, a Finnish Airport operator Finavia has decided to invest a major amount to Lapland’s airports. 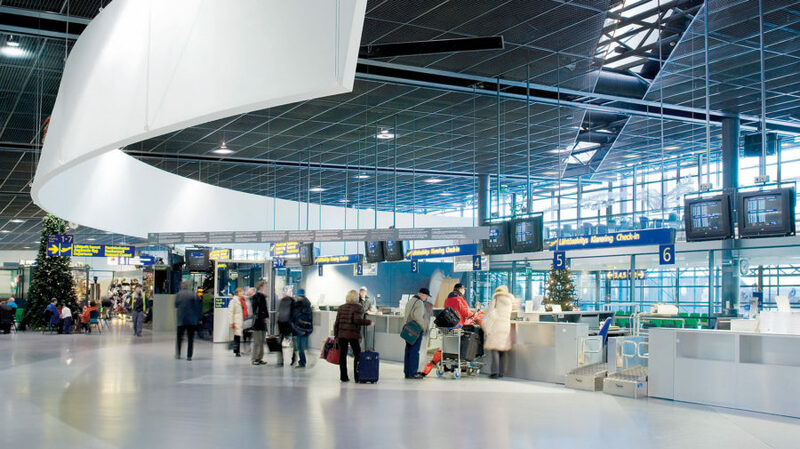 Rovaniemi Airport’s terminal will grow with over 75 percent by Christmas season in 2019. “The new route and cooperation with EasyJet is an important milestone”, says Jani Jolkkonen, Senior Vice President of Airport Network at Finavia.